Defending the freedom of journalism by increasing the professional awareness of the media sector and demonstrating good resposnible governance in the media self-regualtion is one of the founding principles of the MCM. 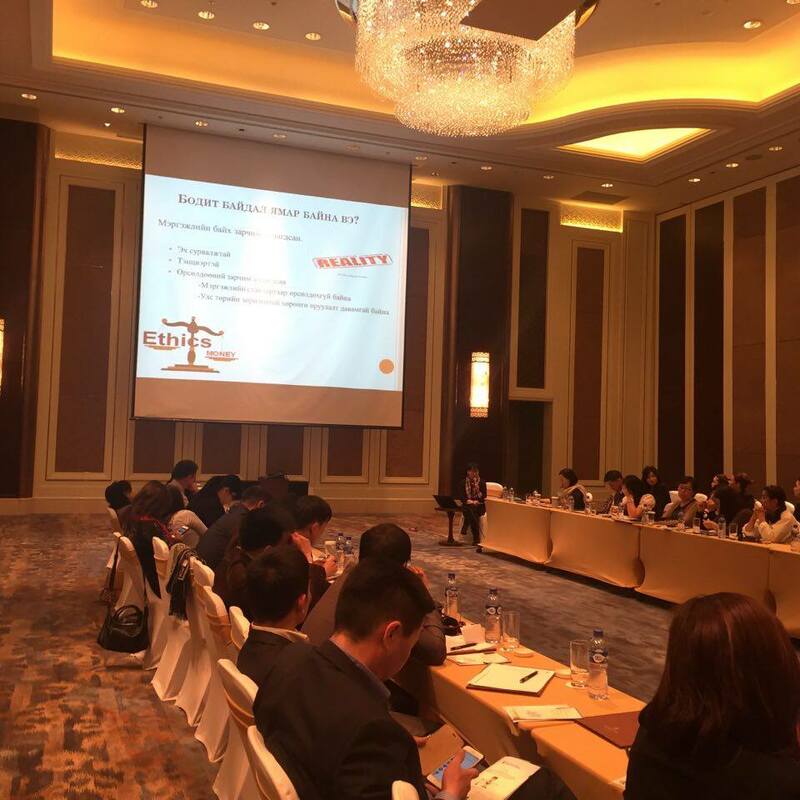 On 21 April 2016, the MCM organized a discussion under the title of “Democracy - Ethical Practices and Obligations of Media” to provide representatives of political parties with deeper insight into this matter. 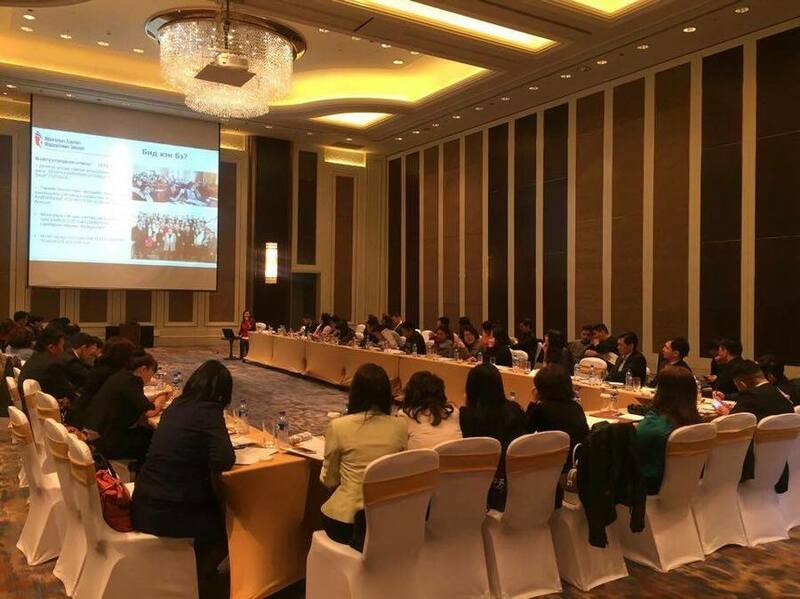 As the election dates draw closer, the purpose of the event was to build common understanding amongst the political parties on the responsibility and importance of the media sector to adhere to ethical principles and practices.Representatives, election candidates and PR and media specialists of political parties such as the Democratic Party, Mongolian Revolutionary Party, Mongolian People’s Revolutionary Party, National Labour Party and Civil Will Green Party attended the discussion to share viewpoints and contributed diverse inputs. 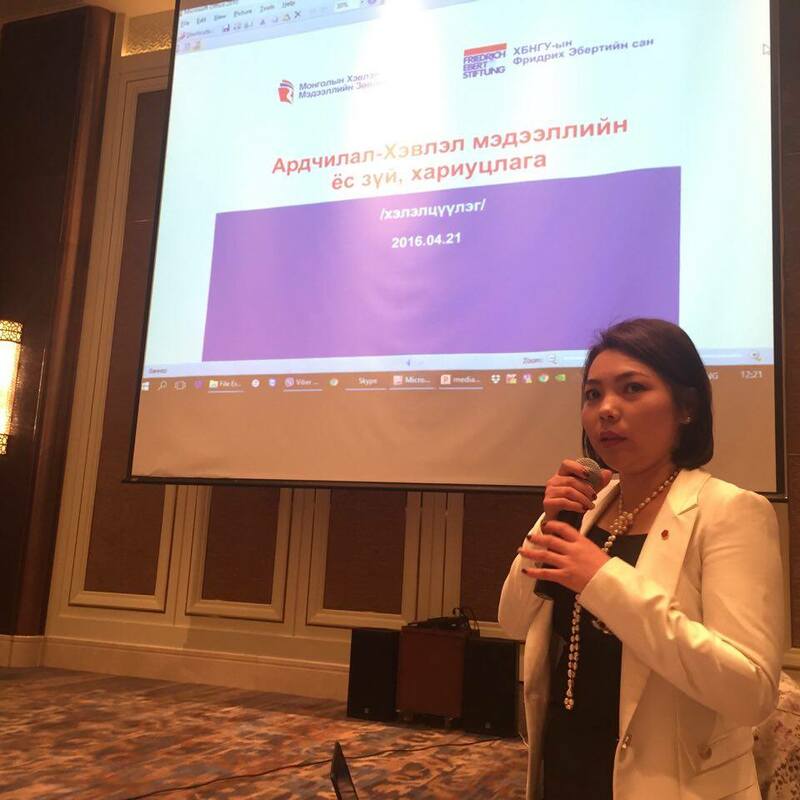 Director of Public relations department of the Mongolia People’s Revolutionary Party emphasized that one of major contributing factors to the unprofessional standards is the lack of human resources. She emphasized that many young inexperienced professionals, who are professionally immature or with no professional backgroundare working in the media sector, and are unlilkley to be capable of producing media content that is well grounded or researched thoroughly enough. As a result of all the discussions, the participants agreed that it is an inappropriate and unethical for the media to print or publish innaccurate or biased information in order to affect voters’ decision-making duringelections, and that the media organizations and political parties shall adhere to the ethical principles, to follow the applicable laws and regulations, and to promote democratic values by providing true and authentic information to the public.